Three cheerleading teams and dance teams from eight area schools competed in the Boone Central High School “Hollywood Premiere” competition last Sunday, Jan. 13, at the Boone Central High School Gym. 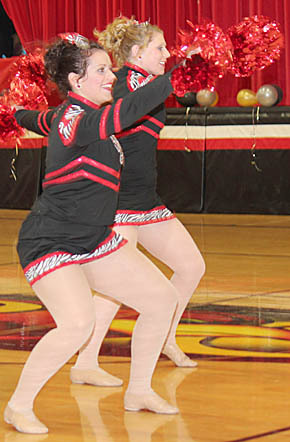 The Boone Central Rubies Dance Team, as well as the BC Cheer Team, garnered several first place awards. Details in the Jan. 16 Albion News Print & Electronic Editions.